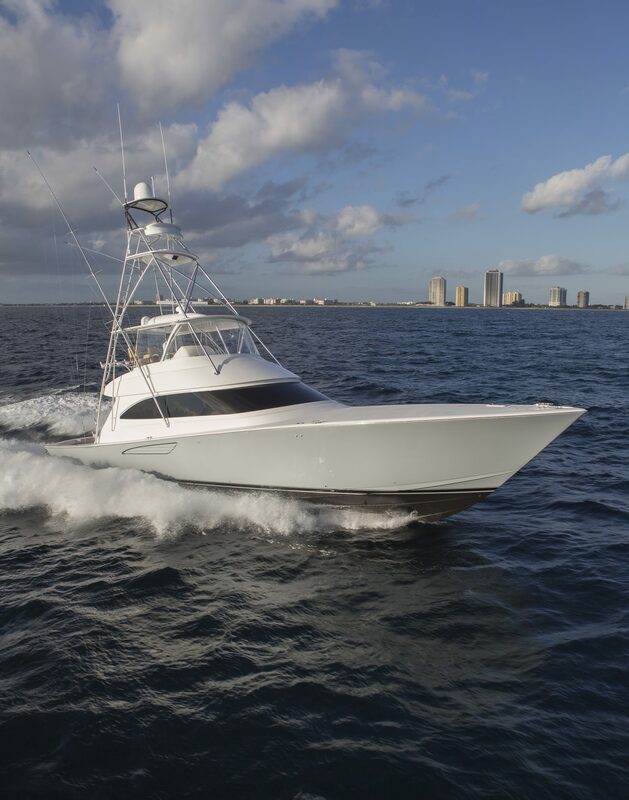 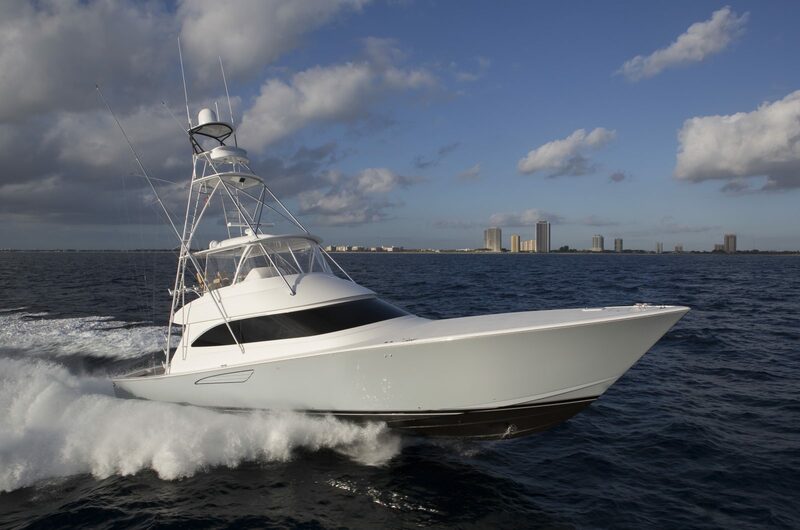 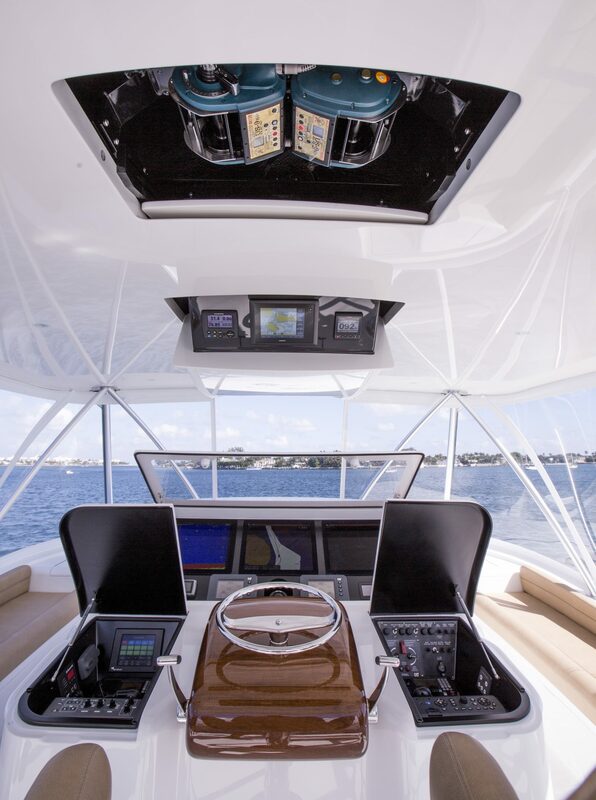 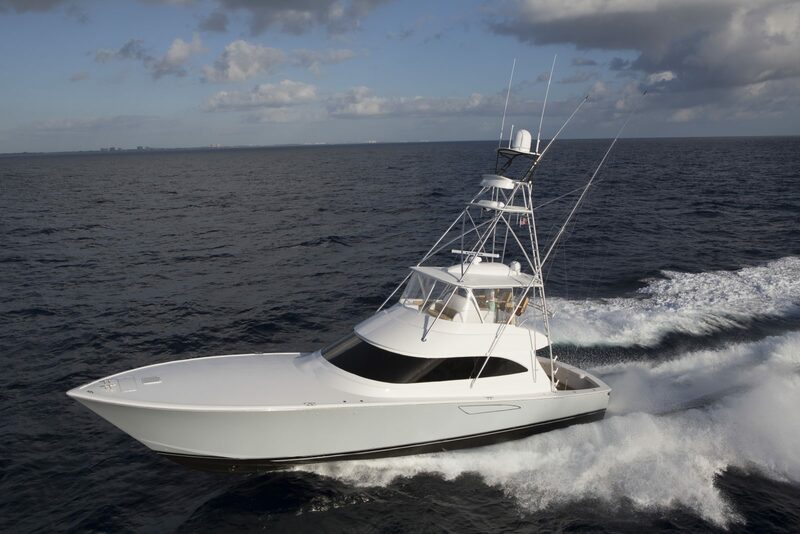 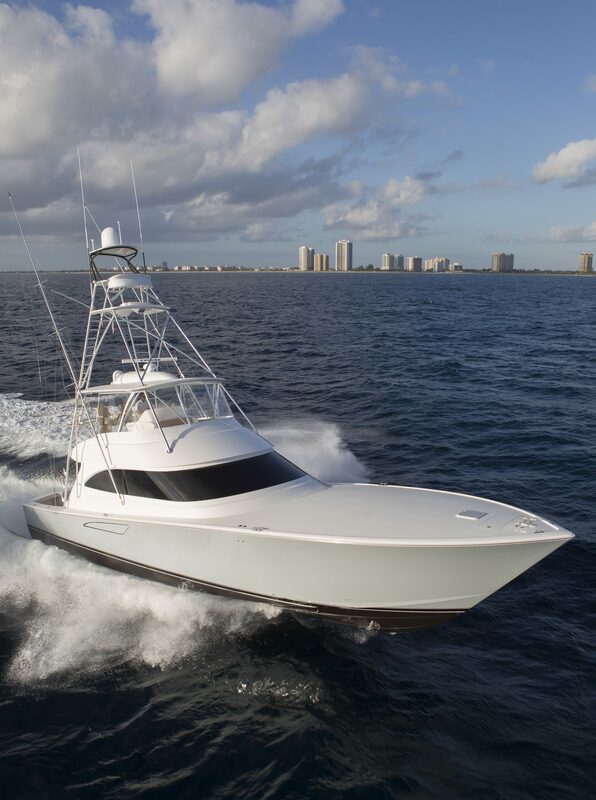 The 62 Convertible is a showpiece in the Viking tradition with a fusion of leading edge engineering. 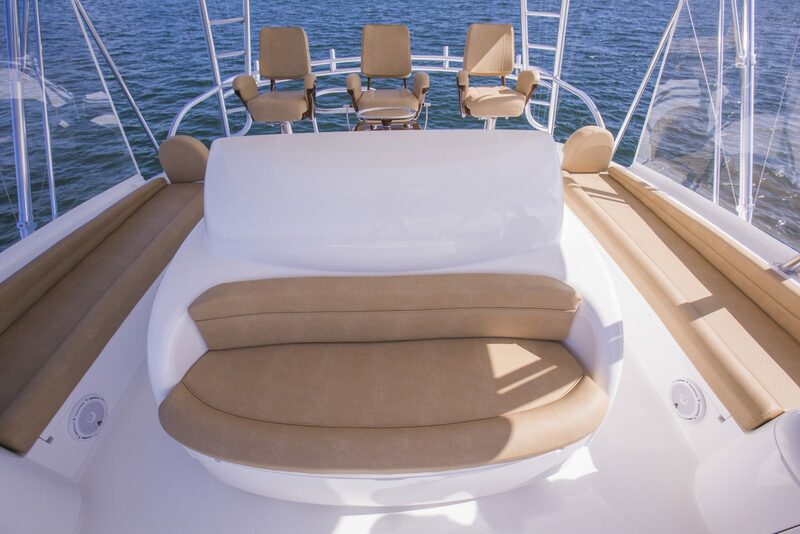 To optimize its strength to weight ratio, the composite cored hull is resin infused with a high modulus of Dupont’s Kevlar, carbon fiber and knitted fiberglass laminates selected to reduce weight while increasing the overall physical properties of the structure. 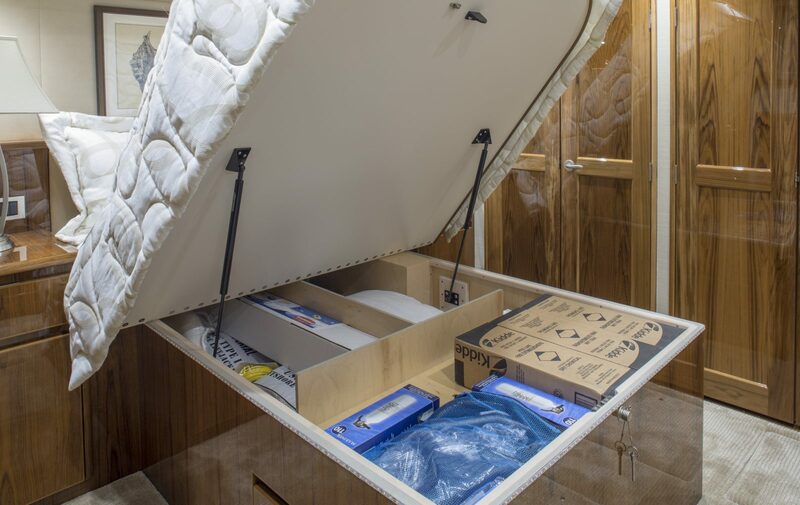 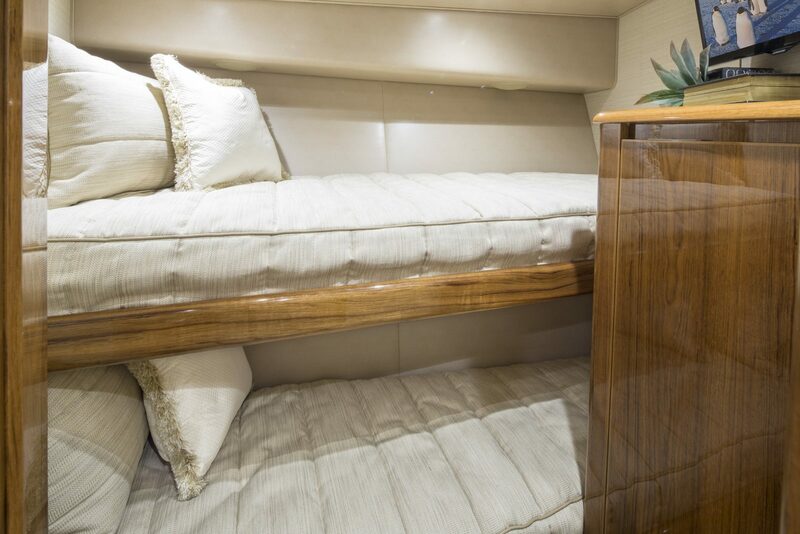 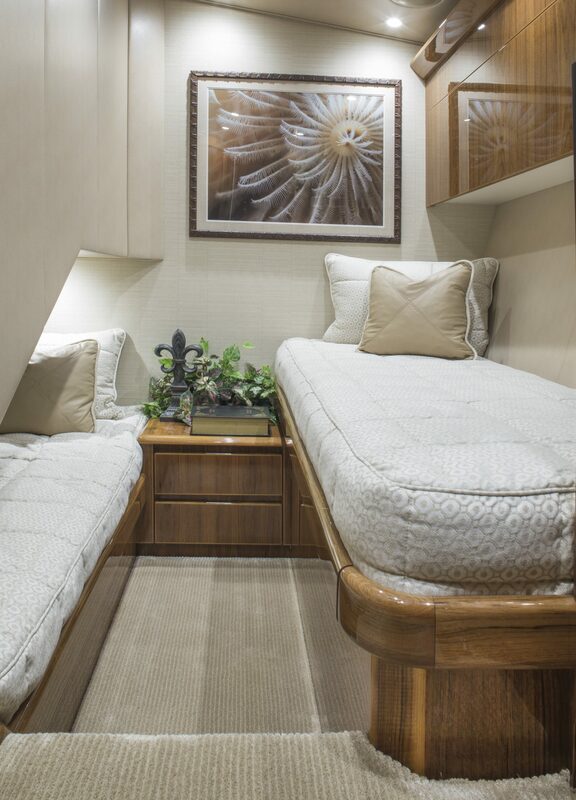 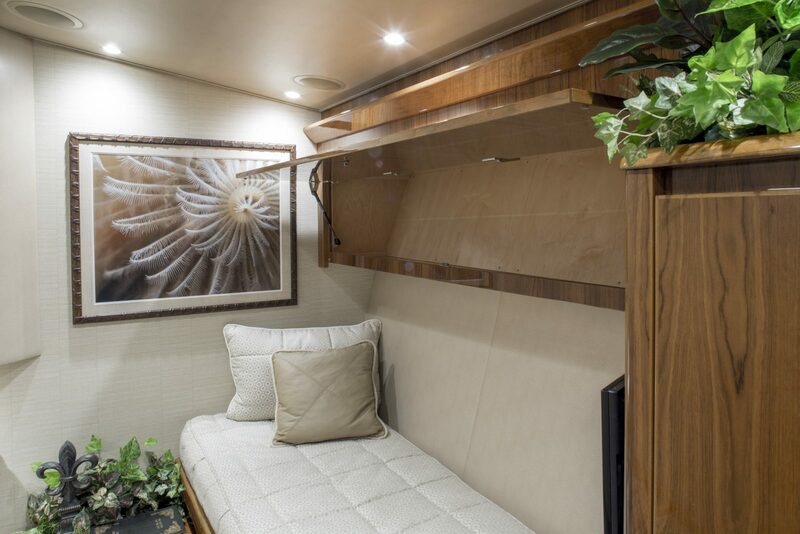 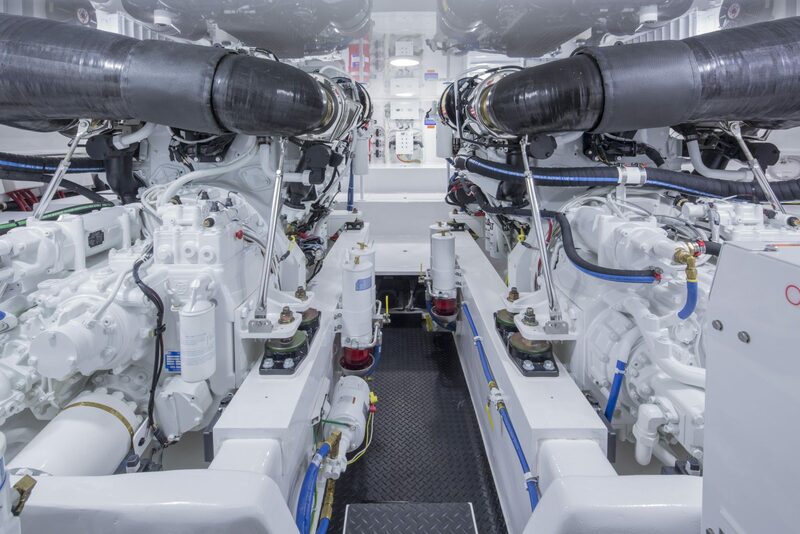 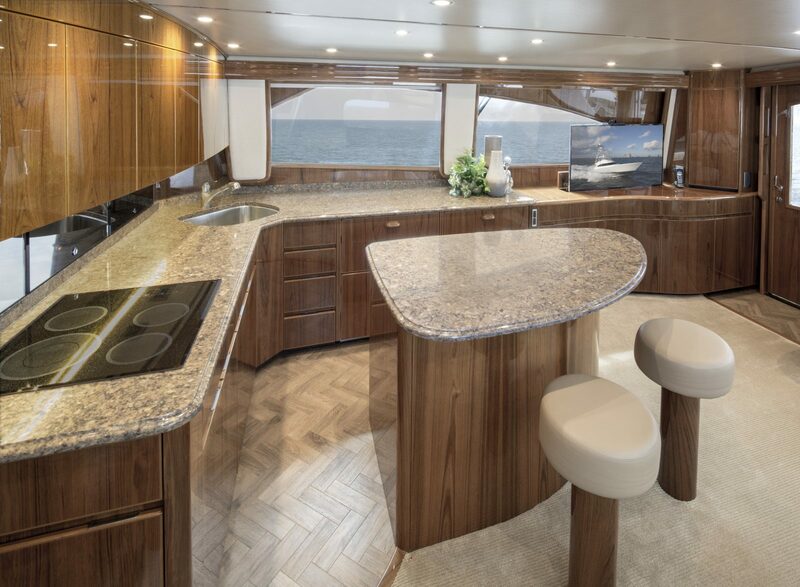 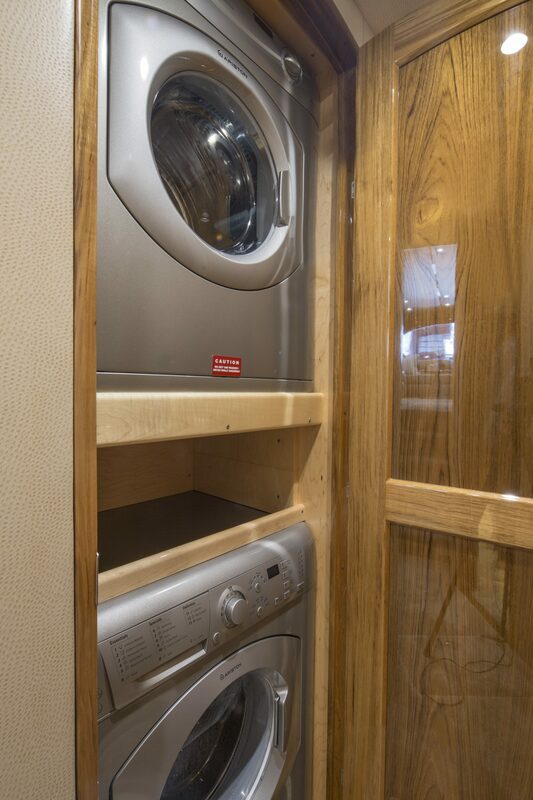 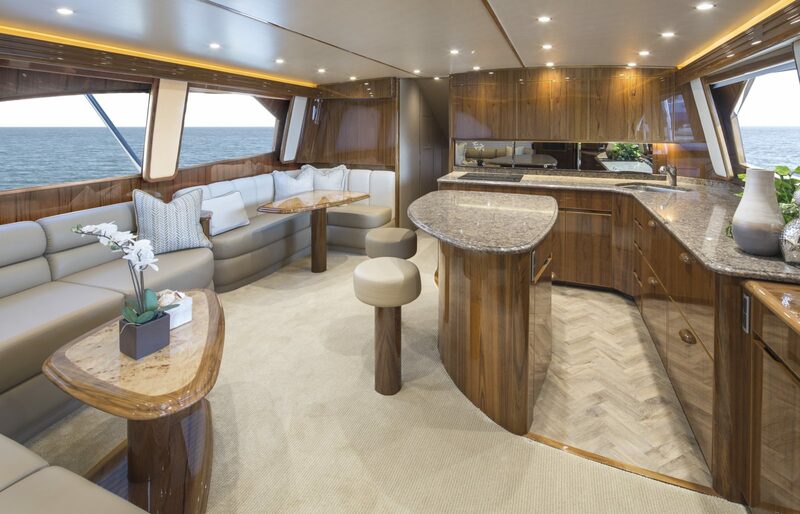 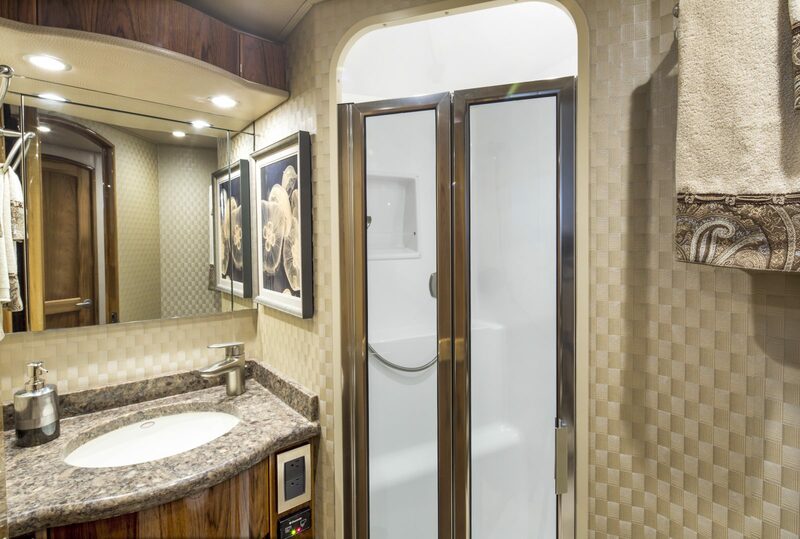 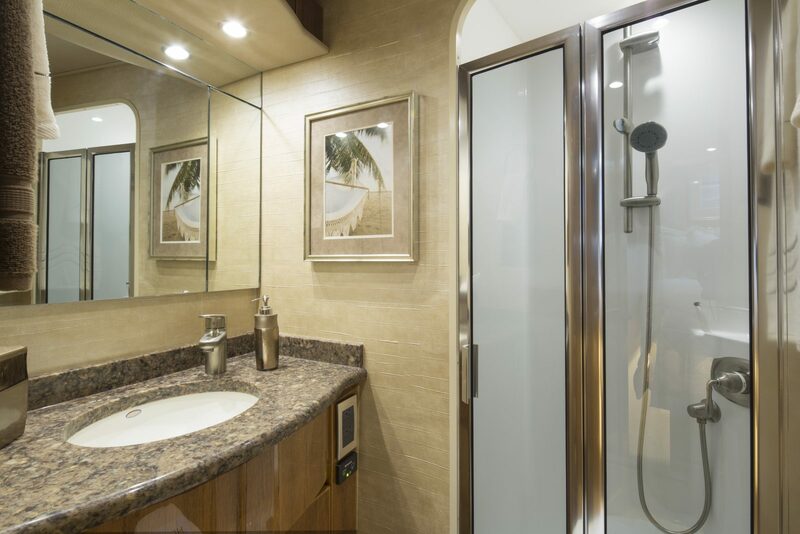 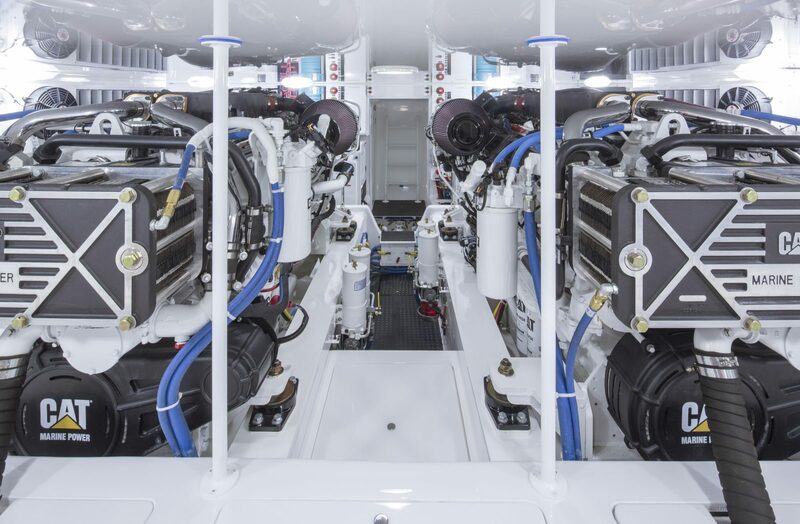 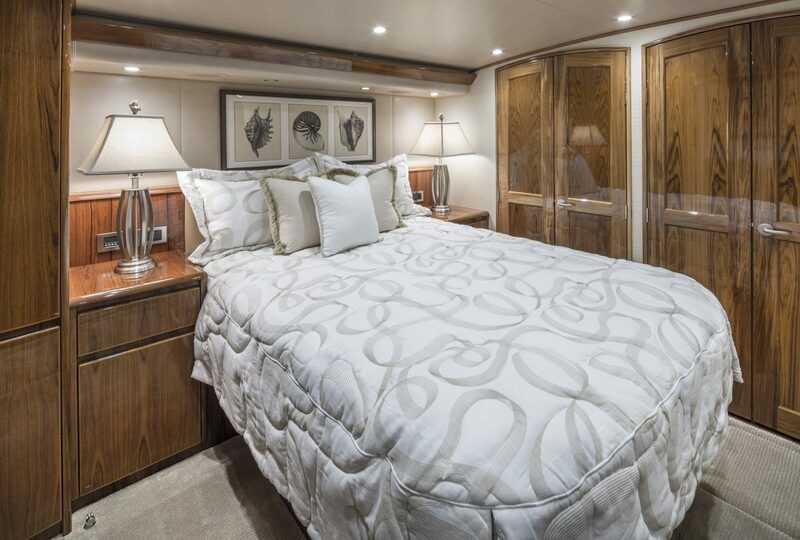 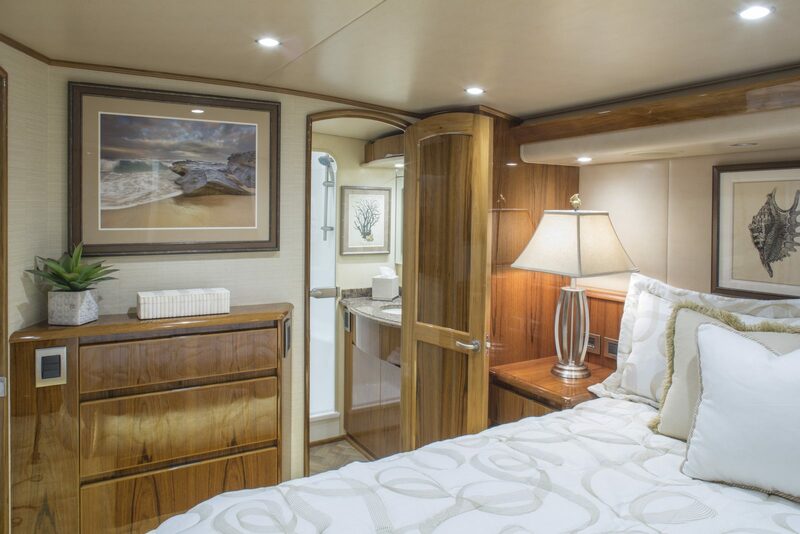 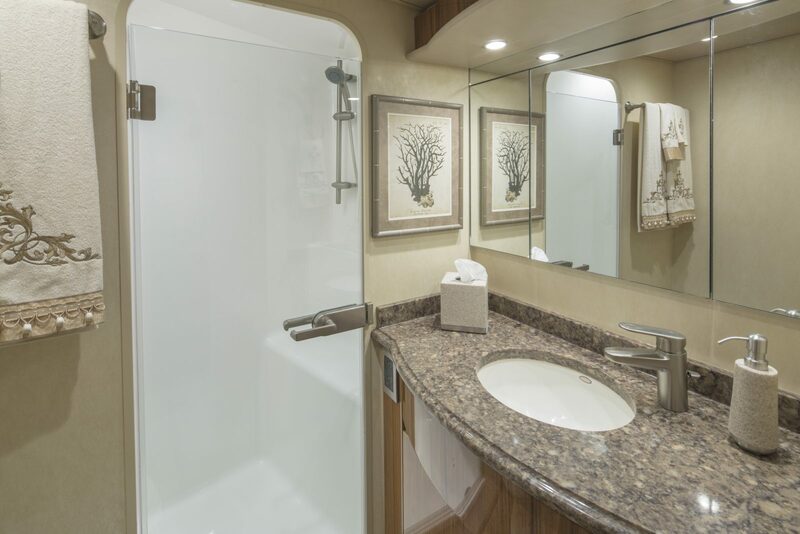 Similarly, interior stateroom and hanging locker doors, as well as cabinet fronts throughout the yacht incorporate honeycomb coring for further weight reduction. 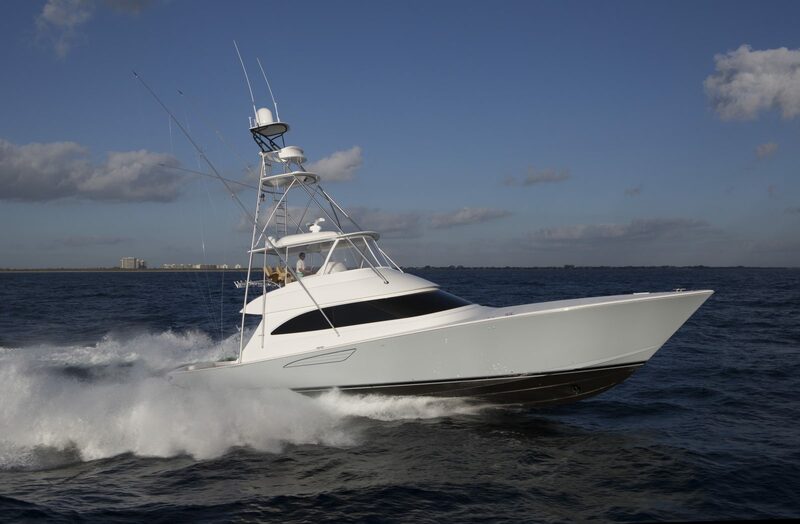 As with all new Viking models each introduction is designed to set a higher performance standard in its class so the 62 Convertible also has recessed engine cooling water pickups, a refined propeller pocket entry to enhance flow to the five-bladed wheels for reduced noise with better traction, and modified architecture to the struts and rudders adding to an efficient and slippery running surface calculated to deliver speeds of up to 42 knots with a pair of Caterpillar C32-A engines rated at 1,925mhp. 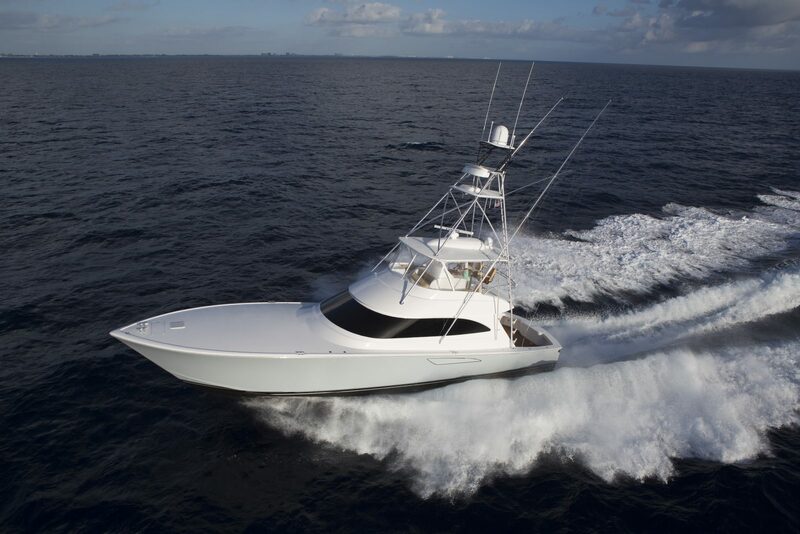 Thanks for your interest in 62 Convertible. 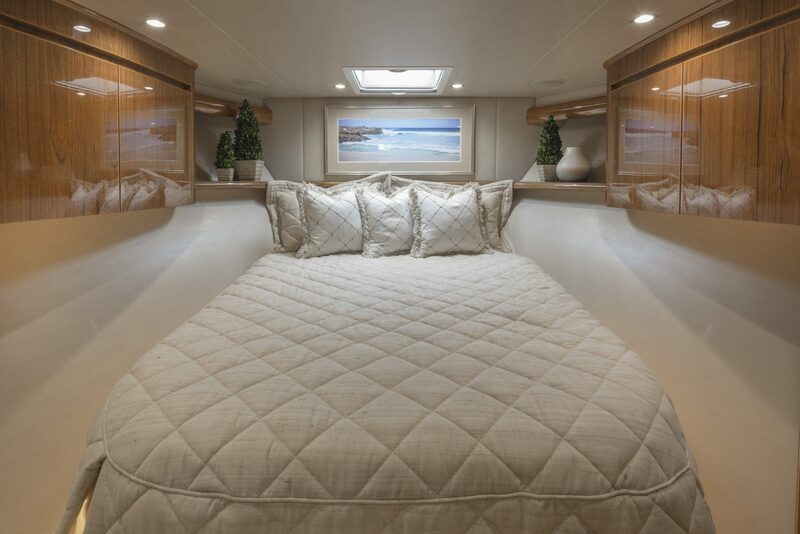 Please fill in the form below to send us a message and we'll be in touch soon. 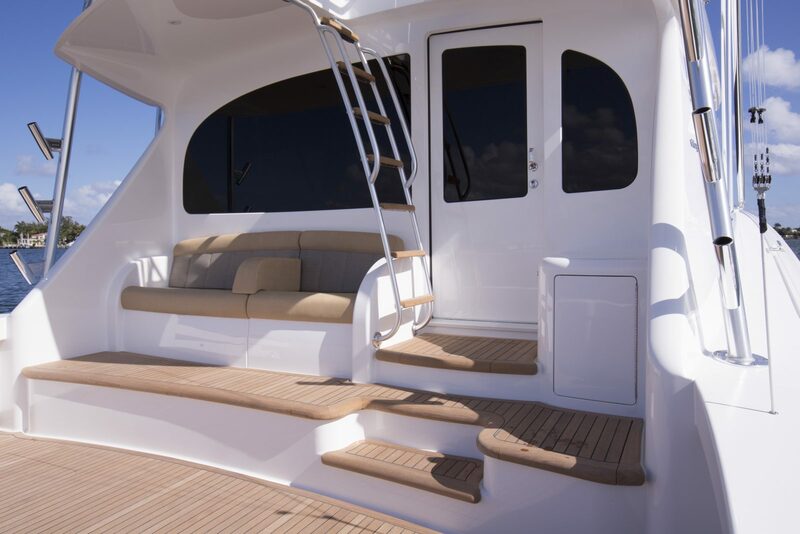 Or you can call us on +377 9770 3136 and we'll be very happy to talk with you.